Basel-III, an international regulatory framework for banks, is being implemented in India in phases since April 2013, and will be fully implemented by March next year. The RBI requires banks to maintain CRAR, including capital-conservation buffer, at 11.5 per cent — 1 per cent higher than global Basel norms. The CET-1 of banks must be at least 5.5 per cent of its risk-weighted assets — 1 per cent higher than the global norms. “Such stringent norms stipulated by the RBI for our banks… who are not internationally active at all, is unrealistic and unwarranted,” the committee noted. 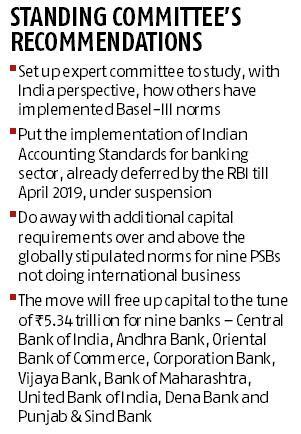 The committee called for easing the “additional” capital requirement set by the RBI over the global norms which will obviate the need for additional capital infusion into these nine PSBs from the Union Budget. These nine banks had aggregate risk-weighted assets of around Rs 9.93 trillion, which means the banks would require additional capital of around Rs 350 billion. “…If waived, (it) will release huge funds to the extent of approximately Rs 5.34 trillion, representing 51 per cent growth in the loan book of these banks, generating additional interest income of around Rs 500 billion annually,” the committee further said. The committee further asked the government and the RBI to defer the time frame for full implementation of Basel-III norms from March 2019 looking at the financial position of PSBs. In the first quarter of this financial year, PSBs posted a collective loss of over Rs 166 billion, with only seven out of 21 state-owned banks posting profits. However, the RBI did not favour deferment of timeline in implementing the Basel-III norms, in its submission to the panel as it seeks to address a lot of shortcomings. “It is imperative these regulations are implemented within the laid-out timelines. As a leading and globally interlinked emerging market economy, India can ill-afford to be seen as lagging behind in implementation of globally accepted norms on banking regulation. 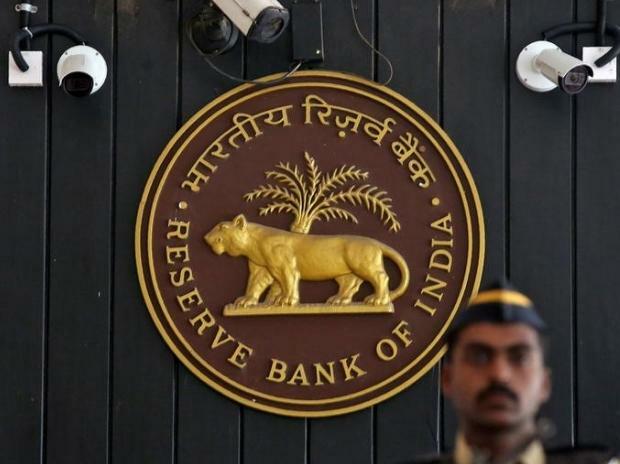 In several areas, the implementation has been deferred in alignment with deferment by the Basel committee on Banking Supervision,” the RBI said. The CRAR of the banking system had marginally improved to 13.80 per cent till December 31, 2017, from 13.66 per cent till March 31, 2017, the committee noted. In the case of PSBs, however, the average CRAR had declined from 12.14 per cent to 11.77 per cent during this period. Official sources said the government is also in talks with the RBI to relax the minimum capital norms for banks in a bid to free up capital to meet the lenders’ growth requirements.